Swoosh. 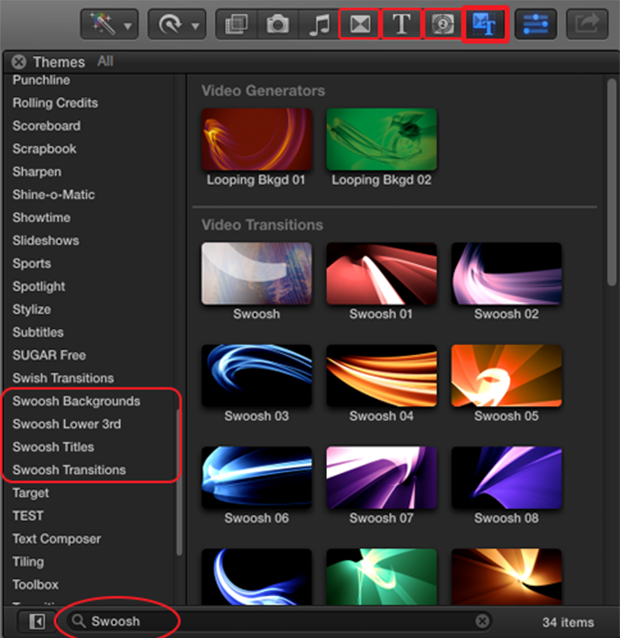 The new dynamic and versatile template for Final Cut Pro X.
Swoosh is a completely customizable template developed exclusively for FCP X.
Swoosh's elements are accessible in the Transition, Generator and Title browsers under the SUGARfx Swoosh category, or find them all under the "Swoosh" keyword in the Themes browser. Adding Swoosh to your project is easy. Just drag-and-drop the element of your choice and customize. It's that simple! Start by selecting one of the many elements included and drop it on your timeline like any other element. Then open up the Inspector window and tweak its parameters. Swoosh comes loaded with many elements and features. 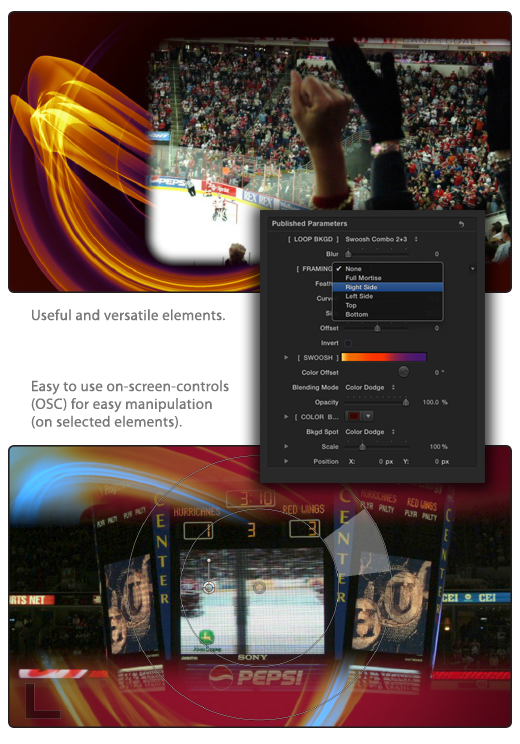 – 2 Backgrounds with the capability to use as seamless loopable backgrounds or with several customizable framing options, styles and combination of swoosh elements. – A versatile Lower Third Identifier with full text customization and multiple setup adjustments for any type of identifier text with optional in-and-out swoosh styles. – 10 different Title generators, animated and customizable. – 20 Transition elements with control on appearance, speed and distortion effect.